Friend’s Stable and Orchard offers a variety of stabling options. We believe that horses need space, and our large roomy pens and stalls reflect this. Stalls/pens are cleaned daily 7 days a week. 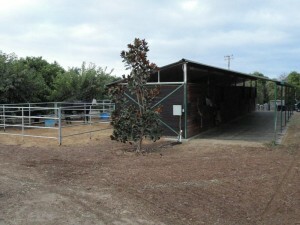 All stabling comes with the use of a group tack room close to your horse’s living space. 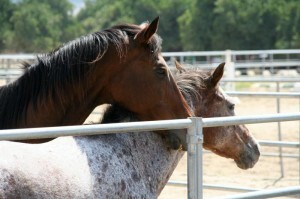 A variety of private tack spaces are available for rent. 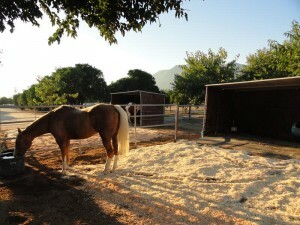 We have 3 barns with a total of 15 box stalls. We offer both 12×12 and 12×24 options. Every box stall opens into a run 12×24 or larger. 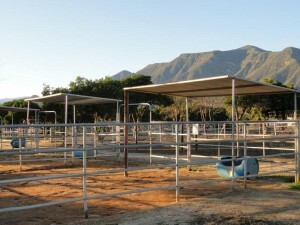 These are an upgraded version of our regular paddocks. They have matted feed areas with added protection against the weather. Friend’s Stable and Orchard also has a small retirement community for horses. We offer larger pens for both group and individual boarders.